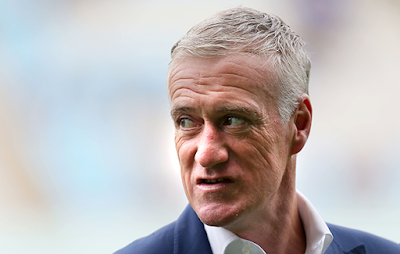 Franch Coach Didier Deschamps has explained why he left both Alexandre Lacazette and Anthony Martial out of his World Cup Squad. Deschamps released his World Cup Squad recently and many were surprised to see Arsenal front man Alexaandre Lacazeette missing out despite the striker being in good form for London Side. Many will understand Martial asbesnce as he didn't play much for Manchester United during the season due to the fact that Mourinho prefers Alexis Sanchez upfront. Deschamps has now give his reason for omitting the two players and it is due to the fact that Franch has too much players in that position. Both Players will be highly disappointed missing out in the World Cup Squad and they will look to bounce back. Do you think Deschamps is right by leaving out this two players?